TodayLast week I finally joined the Wikimedia Foundation, with my US visa renewed and all the bureaucratic requirements in place. I work at the Platform Engineering team, reporting to Sumana Harihareswara and having other (remote) neighbors like Guillaume Paumier, Chris McMachon and Andre Klapper (of GNOME & Maemo/MeeGo fame, what a coincidence!). I feel happy. I feel honored. I’m ready to do my best contributing to the Wikimedia (with m) movement, one of the most impressive collaborative projects nowadays. One way to do this is to reach out to existing developer communities, promoting our APIs and technologies in areas like CMS, mobile, analytics, server infrastructure, media, localization, UX, you name it. I’m also interested in exploring ways of collaboration with companies, universities and non-profit organizations. But Wikimedia is also the perfect initiative to engage with the unusual suspects: women becoming tech savvy despite social pressure, young and old citizens of countries far from the tech hubs and, in general, regular people with little or no technical skills but with a big motivation in certain Wikimedia aspect. Wikipedia is changing little aspects of people’s lives. How far can we go in the technical side? Sometimes you join a revolution too soon or too late, but my timing with Wikimedia has been about right: love at the first click about ten years ago, and an increasing involvement since then. The first day I clicked the “Edit” link in a wiki I couldn’t sleep. Literally: I went late to bed only to wake up a sleepless hour later in order to keep learning how that wiki worked. It was an empty TWiki instance and I had admin permissions, so there was plenty to learn. Since that night I have been using, administering and contributing content to various wiki engines and communities. MediaWiki had become predominant in the past years, being part of my work for Maemo, MeeGo and the Qt Project. And there is also Espiral, my social pet project and my chance to learn the very basics of MediaWiki sysadmin. Started translating Daodejing to Catalan at Wikisource (directly from Chinese although I don’t speak it; yes, fun). Published texts from Joan Salvat-Papasseit as soon as they landed in the public domain. That included some scans from original editions. After many minor contributions to the Catalan and Spanish Wikipedias, I finally found a page to invest time in the English one: Gaia hypothesis (and I got an Environmental Barnstar for this, yay!). Last year I started contributing in the technical front. First I helped bootstrapping the Mobile Projects documentation. Then I pushed Wikipedia as a good showcase for the initiative (partially funded by Nokia) of bringing Qt support for PhoneGap. … and just in the past weeks I went ahead with the tech community metrics, setting up a Wikimedia organization profile in Ohloh and publishing a first monthly report. The chronology continues and ends with my current task list. Feel free suggesting new items and different priorities. Most of my work needs to be done next to somebody else i.e. you (yes, you!). Questions? Feedback? Willing to get involved? Let me know. 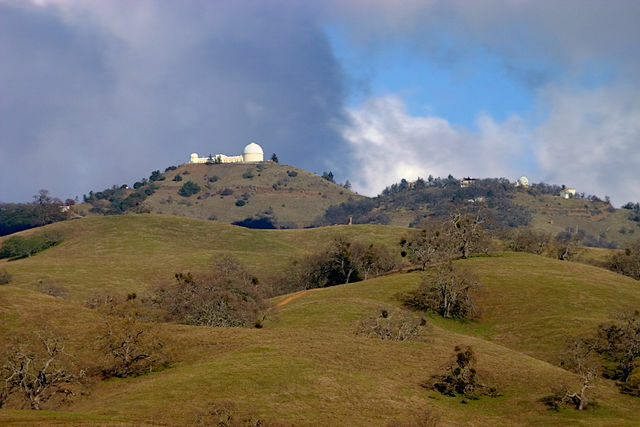 Lick Observatory from Ranch Grant, by Sean O’Flaherty. Hi, just a short note to let everybody know that I’m in the process of leaving Nokia and joining… the Platform Engineering team at the Wikimedia Foundation! There I will help improving the volume and quality of community contributions in technical areas like QA, sysadmin and development of features for Wikipedia and related projects. I don’t need to tell you how excited (and impatient) I am about diving into such massive and complex project full of openness and freedom. This is enough for today. Not saying “Thank You” yet. 🙂 I’m saving my closure and opening blog posts for the days when I will effectively leave Nokia and become a Wikimedia Foundation employee. Some personal news: I’m joining the Qt team to help making the Qt Project rock. A small change of floor at the Nokia offices in Sunnyvale (California) and barely a change to be noticed by my relatives and non-geek friends. Still, for me it is a big change, the end of a phase and the beginning of something fresh. With a stable SDK released and a new product in the shops, this is the time when I would start shifting internally to the next product iteration. In fact this is what I’m doing now as well, but this time swimming upstream. In practice this means that I´m less conditioned by Nokia products (although they still pay my salary) and closer to the work of a wide community of organizations and individuals putting their bets in Qt. My work keeps combining the big topics of community, openness, sustainability and fun – also understood by some as marketing & communication applied to OSS development. This is how I started contributing to the free software community around 2003, this is why Nokia recruited me for the Open Source Software Operations in 2007 and this is what I have done best since then. I was introduced to the Nokia 770 in GUADEC 2005 by no less than the great Guillem Jover. In 2004 I wanted to recruit him but he had just moved to Helsinki to work for... Nokia! Two years later I would follow the same path. Once a full time GNOME community contributor (founded by the Catalan government to assure a great GUADEC 2006 in Vilanova), my approximation to Qt has been directly related to the steps taken by Nokia in that direction. One day Ari Jaaksi (then the boss of my boss, Valtteri Halla) started to suggest the possibility to shift our basically GNOME Mobile compliant Maemo to Qt. A big debate followed and I contributed my dose of voice and brain. My strong arguments were that GNOME had a distributed setup combined with a more suitable license, plus Nokia was lacking the skills in house. Our team moved to Qt but I was never proven wrong. One morning we read in the news that Nokia was acquiring Trolltech, getting a big load of Qt skills in house. “Fair enough”, I told surprised to myself. Then the LGPL license came (a change I had been lobbying for since the Nokia-Trolltech deal was announced). And finally the Qt Project is here, willing to reach a diversified open governance setup like the Linux kernel, WebKit or GNOME itself. My closer approach to Qt matters started after the Nokia N900 was released. As said, that was the time when I would start shifting to the next big iteration (Harmattan, a name that I had the honor to propose). The Qt 4.6 libraries were available for Maemo 5 and I felt it was the time to test the cross-platform compatibility promise. I proposed the Miniature project with only three hard requirements: chess, mobile & Qt. At the time C++ & QGraphicsView was the way, and good that Michael Hasselman was around, otherwise I wouldn’t have progressed at all. Things were not that easy yet. By that time Peter Schneider was my manager and I was learning from him the usefulness of keeping activities and messages simple and focused (in this case in Qt). One day I started getting some tasks related to a project that one day would be introduced to the World as MeeGo. The fundamentals of that project were for me a dream come true: standard Linux & freedesktop.org stack plus Qt toolkit and development environment, developed openly by multiple parties, targeting multiple form factor devices. Qt Quick started to emerge between the two equivalent frameworks that Maemo and Symbian were building. I became an internal advocate almost instantly, not because of any technical analysis (I’m not the guy for these things) but because of the basic principle of following and supporting the way proposed upstream, as opposed to attempting to create shortcuts on your own. It took a while, but one day a CEO called Stephen Elop made the call that no top manager had made before: focus on Qt Quick, other alternatives to be deprecated. In the meantime other old discussions had settled with similar trends: Qt Mobility, Qt Creator and the WebKit alignment. Between #feb11 and the Nokia N9 launch on #jun28 a lot happened and a lot was said, inside and outside Nokia. Everybody updated their CVs and so did I. Working in the USA as a foreigner with family and a visa tied to your company can be distressing in times of company changes. One morning I got a call from Daniel Kihlberg, who tomorrow will become my new manager. In short, he described a space where different dimensions needed to be combined successfully: Nokia’s Next Billion strategy, a truly open Qt Project and a rich Qt global ecosystem across different industries. Like all real-life equations, there are more factors, more dimensions and a lot of entropy. All in all the proposal fits my views and the type of game where I feel motivated and useful. And here I am, ready for the next step. I’m permanently thankful to Carlos Guerreiro (and Zara) who actually pulled us to Helsinki. It has been a pleasure to be involved in ideas/projects like the Nokia open devices, the Hacker Editions, the Maemo Downloads (more than 100M!) and the Summits. It has been an extreme pleasure to work together with great people inside Nokia and out in the community, including brilliant unsung heroes like Soumya Bijjal or Niels Breet. Let me say Big Thank You for these great years – even if I’m just moving downstairs.